Team - Métivier Groupe Conseil Inc.
Jean Métivier has been impassioned by the recruitment of executives for more than 25 years. His customized approach, appreciated as much by employers than by executives, is the main reason for his career success and longevity. 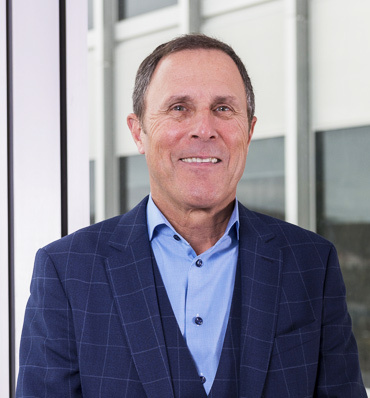 Through his professionalism and strict code of ethics, he is recognized by Montreal’s business community as one of the most effective and best informed executive recruiters. His wealth of experience, his listening and communication skills enable him to be a great ambassador for the corporations entrusting mandates as well as being an excellent coach for career-minded professionals. After his studies in law and business administration, Jean began his career at Drake International, for then accepting the challenge to participate in the launching of an important consulting engineering firm where he had to recruit more than 300 professionals in only one year! Thereafter, he successively held the positions of Consultant, General Manager and Senior Partner for an important recruitment and career transition firm. In order to prioritize the quality of his interventions and reflect the trust placed upon him by his clients, Jean founded Métivier Consulting Group Inc. in 1993. Sophie is a graduate in Political science of the UQAM. She worked 10 years in the philanthropic sector, thus developing a keen interest for medical issues and the pharmaceutical industry, while making herself known by Quebec leaders. She joined the team of Métivier Consulting Group Inc. in December 2000 in order to put online one of the first interactive Executive Recruitment sites in Quebec. She conducts strategic mandates for companies looking to attract the best talents. Whether it is for a confidential mandate or not, she excels in the art of attracting passive candidates. Sophie is known for the attention she gives to the needs of her clients while also taking into account the professional interests of the candidates, therefore, creating genuine bonds of respect, credibility and trust among the parties. In addition to her involvement in professional associations, Sophie actively participates in the development of her profession. Likewise, she collaborated in the establishment of the Code of Conduct intended for executive search consultants and available on the website of the Human Resources Professional Order of Quebec (Ordre des CRHA). 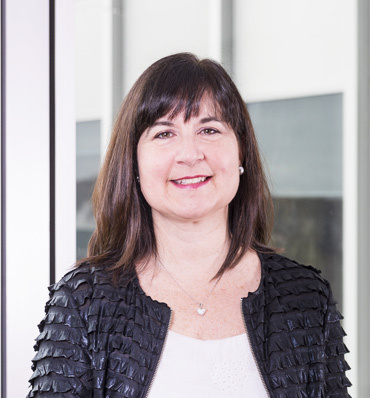 She is now a member of the Thoracic Surgery Research Foundation of Montreal board and plays a part as an advisor for many non-profit organizations in Quebec. Graduate of l’École des relations industrielles (Université de Montréal), Sabrina joined the recruiters’ team of Métivier Consulting Group in 2009. She came on board with fresh eyes on recruitment and the overall job market. Customers as well as candidates who work with her recognize her transparency, her professionalism and her effectiveness. Her curiosity, her approach and her great determination allowed her to establish herself in the executive recruitment market over the past years and she has a lot more to deliver! Committed to business process improvements, she constantly explores the newest trends and various means of integrating new technologies into our rigorous methodology of executive recruitment. Her analyses and knowledge allowed our team to customize their research process and thus increase the quality of their actions within the framework of a specific mandate. Moreover, being very knowledgeable on NICTs, she has moderated various discussion groups for the Human Resources Professionals Order of Quebec (Ordre des CRHA) since 2011 namely on the impact that social media has on human resources management. She is also invited regularly as a guest speaker on this new phenomenon by both human resources professionals and business leaders. She embraces every opportunity to widen and deepen her network. A graduate of Industrial Relations from the Université de Montréal, Charles began his career in human resources management and labor relations for a large food manufacturing company. Subsequently, he joined a major accounting firm as Human Resources Director and then started the executive recruitment practice as a service within the firm. 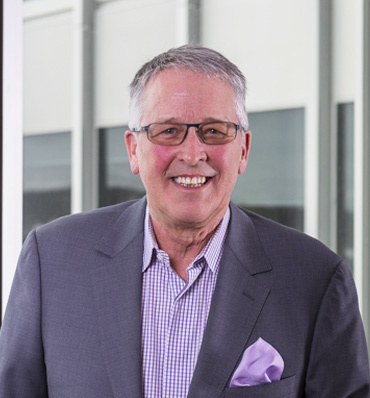 In 1992, he founded his own executive search firm, Belle Isle Djandji. In 2008, Charles joined Amrop Knightsbridge in order to develop his expertise in executive recruitment at the international level. In early 2018, he joined the partners of Métivier Consulting Group to pursue his passion for executive recruitment in Quebec by promoting a professional and highly personalized approach. Charles’s strength lies in his expertise in identifying and attracting candidates with superior qualities. He has successfully completed mandates in the various sectors of our economy such as financial services, consumer goods, manufacturing, entertainment, associations, health sector and retail. His recruitment advice is sought after and greatly appreciated by his clients. He is distinguished by his lectures and his social involvement in various charities. 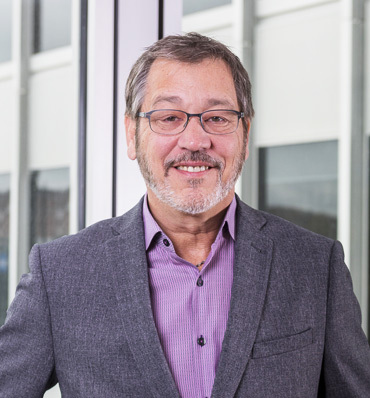 Alain Petit has tremendous experience in career management and in coaching leadership and management competency development for executive and professional customers. He helped hundreds of people from all spheres of activity advance their careers and expand and maximise their full potential. He is well aware of the reality of all stakeholders at work and the organizational challenges. Recognized and appreciated for his ability to build relationships based on respect and trust, he raises vital questioning and awareness, achieving tangible impact by prompting reflections, implementing action plans and assuring goal achievement. Alain has a solid background in human resources management, team management and in business units’ management. Moreover, he acted as a strategic consultant within the regional management team of one of Canada’s foremost financial institutions. With a Bachelor degree in Management from CIREM-HEC Montreal, he also completed an organizational development program at HEC Montreal. He is an active member of l’Ordre des CRHA where he is a frequent speaker and is also a certified member of the International Coach Federation (ICF). He also holds a professional user certification for the Myers Briggs Type Indicator (MBTI) psychological testing. The members of the recruitment firm are all major assets in the recruitment strategy offered by Metivier Consulting Group. Our headhunters and certified professional coach ensure a complete and efficient assistance to those companies in the executive recruitment process. The network and expertise of our team, put to the service of our clients, facilitate the search for fresh talent while optimizing the potential of the organizations we serve.